It’s time to wake up to the power you have in your own life! Join me in this simple guide to building happiness and self esteem by asking the right questions, prioritizing your best self, and consciously embracing beauty, style, wellness and healthy living. Because of all the incredible and heart-opening feedback I get from readers like you, I wanted to create a guide that women could use to realize their own power, beauty, and potential even during struggle. 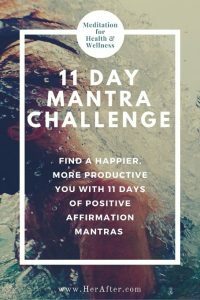 This guide is designed to help you create a life in which you can be successful, at peace, true to yourself, and live fully. It’s created with the intention of helping you see that no matter what you’re struggling with, whether it’s confidence and self esteem, your career, your love life, or accessing your creative side, that you truly have EVERYTHING you need RIGHT NOW to become the person you were meant to be. 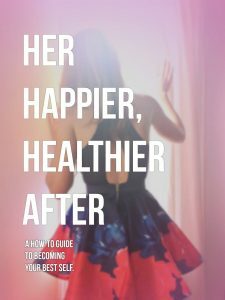 Her Happier Healthier After is a practical manual of insightful questions, simple tutorials and transformational tips on everything from home decor to beauty and style to exercise and fitness. This short book offers a fun, inspiring new look at how women can live fulfilling lives by indulging in the activities they love most. With her unique take on appreciating life and living with eyes and heart wide open, Rachael gives compassionate advice to help women of all lifestyles reach their potential, and feel beautiful from the inside out. – Plus tips to living beautifully, from the inside out! You’ll also discover ways to build a happier, more fulfilling life asking life’s most important questions, that will help you deeply understand your heart and soul, and release your BEST self. And additionally by reassessing your habits, your choices, and your relationships, and how they are keeping you from being happy and self-expressed. After all, most of our bad habits are our greatest sources of unhappiness. This guide will give you the clarity and insight to help stop habits like discouraging yourself, not believing in yourself, and not being your own advocate.